How do I change my membership from the monthly to yearly payment plan? How do I renew a cancelled membership? 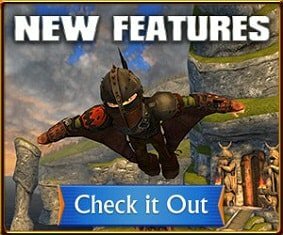 What are the system requirements to play in the virtual world at schoolofdragons.com? School of Dragons accepts Visa, MasterCard, Discover, American Express, or check cards, so long as they are connected with one of the major credit card companies listed above. You can safely enter your entire credit card number via our secure server, which encrypts all submitted information. School of Dragons membership and gems are non-refundable. How do I cancel my membership on PC? How do I cancel my membership on iOS? How do I cancel my membership on Google Play? Memberships purchased through Android (Google Play) must be cancelled through Google. Follow the instructions below. On Android, open the Google Play Store, then tap Menu > Subscriptions. On a computer, go to play.google.com, then in the left menu click My subscriptions. On either Android or a computer, click here to open your list of subscriptions. How do I cancel my membership on Steam? Login to your Steam account, go to your Account Details and cancel your subscription there. How do I cancel my membership on the Amazon app? On a Fire tablet, tap Apps, and then tap Store. Open the menu, and then tap Manage Subscriptions. On the Amazon Underground app for Android, open the menu, expand the Amazon Appstore submenu, and then tap Manage Subscriptions. On Blackberry, open the Amazon Appstore app. Then open the menu, and tap Manage Subscriptions. How do I cancel my membership in the Microsoft store? Follow the instructions below to cancel your subscription through Microsoft. How do I cancel my membership on Facebook Gameroom? Once your request is received and processed by our support team, memberships are then cancelled at the end of your scheduled billing cycle. To change your current membership plan directly from the Manage Account page, sign into your account and click here, where you can select from your available upgrade options. Yes, all School of Dragons membership plans renew automatically until cancelled by the account holder. Login to SchoolofDragons.com and click the Membership link to purchase the membership package of your choice. On which platform can I connect to the School of Dragons virtual world? What are the system requirements to play the School of Dragons app from my computer? Yes, player interaction within the School of Dragons is completely safe. The chat system currently in place is safe and modified often, according to trending words and topics. Chat allows players to communicate using their own messages, as long as all parts of these messages appear in our database of approved words and phrases. This mode must be activated by a parent. Please note: Online safety is our number one concern at SchoolofDragons.com, and we are constantly improving and evolving our chat database, but messages that may be offensive to some players may get through the filters in Safe Type Chat Mode. Since parents know their kids best, we ask that you select the perfect level of interaction for your child. How To Train Your Dragon © DreamWorks Animation LLC. All Rights Reserved. © JumpStart Games, Inc. All Rights Reserved.